Rating: 6.0/10. From 29 votes. 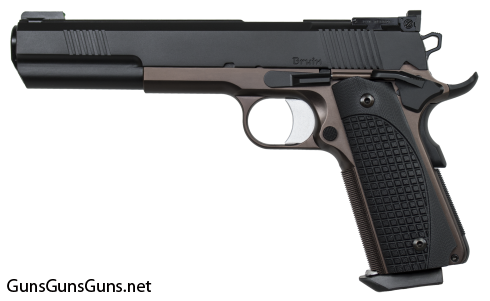 Summary: The description, specs, photos, pricing and user ratings for the Dan Wesson Bruin pistol. The Bruin from the left. either a matte-black finish on the frame, or a bronze-color finish. 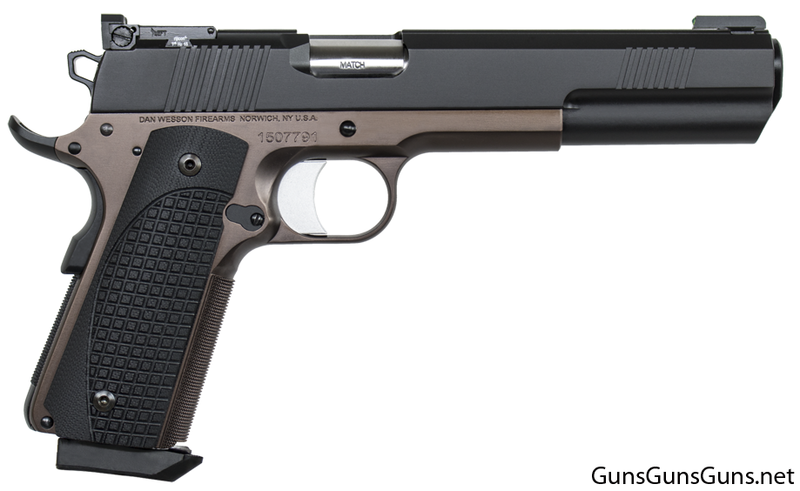 10mm, .45 ACP 8+1 9.7″ 6.3″ 1.5″ 5.8″ 2.68 lbs. The Bruin from the right. This entry was posted in .45 ACP, $2,001-$2,250, 10mm, 1911, Dan Wesson, Full size, Hunting - Big Game, Hunting - Small Game, Semiauto on January 13, 2016 by Staff.